MH – Two Bucks in 4 days! What a awesome couple of days! We scored on two bucks that both went down within sight! Wow, December has certainly started off good for Shawn and I! I have been fortunate to run the camera on two awesome hunts in the past 4 days. 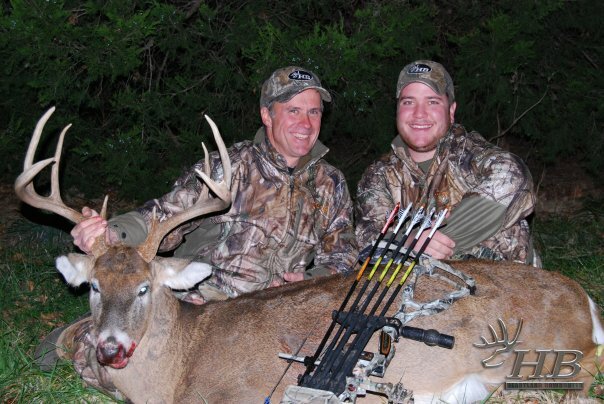 It has been a goal of ours this year to get Rex (Shawn’s dad and our sponsor hahaha) a buck and we finally did it! Sunday night Rex and I went to a ground blind set where I have been getting some pictures of some shooters. He came out right at sunset, fed around a little bit at 55 yards, then turned and closed the distance. There was another descent buck to our right and he was making rex’s buck mad. The big 8 turned, laid his ears back, and started grunting at the inferior buck. I ranged him for rex and told him 37 yards. Rex put it right behind the shoulder perfect and the deer only ran about 20 yards and piled up. we decided to take the decoy out and set up. ran in a big circle and came back toward the tree and crashed not 20 yards away. POV camera set up facing the decoy so you could see everything! Congrats on another great season guys, and its not over yet!! Wow… wish I could have been there for that one! That is going to be some awesome footage. Congrats on another buck down. Who says Missouri doesn’t have good bucks? That’s awesome Mike. You guys are having an unbelievable season. Way to go and congrats. 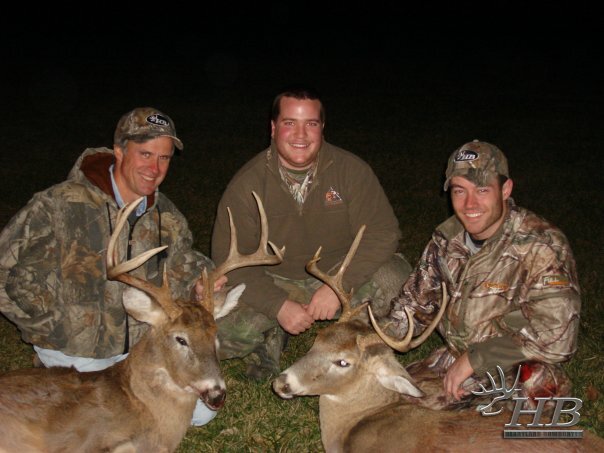 I appreciate reading your hunting stories! Congrats!! I’m in the Air Force stationed in Germany and I didn’t get back to MO to hunt this year. I’m going through withdraws!! 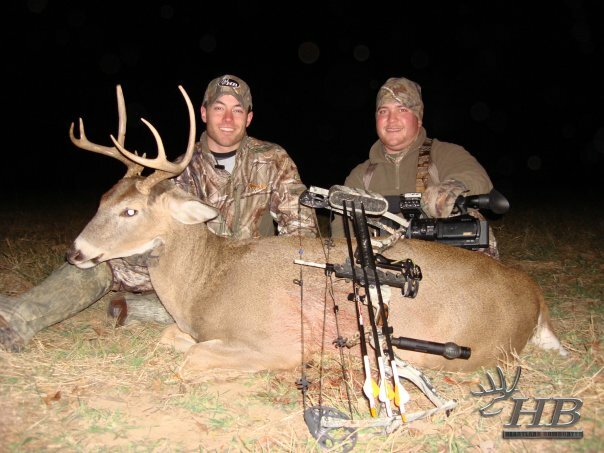 It helps to watch videos and hear hunting stories like this! Thanks and keep up the great hunting!